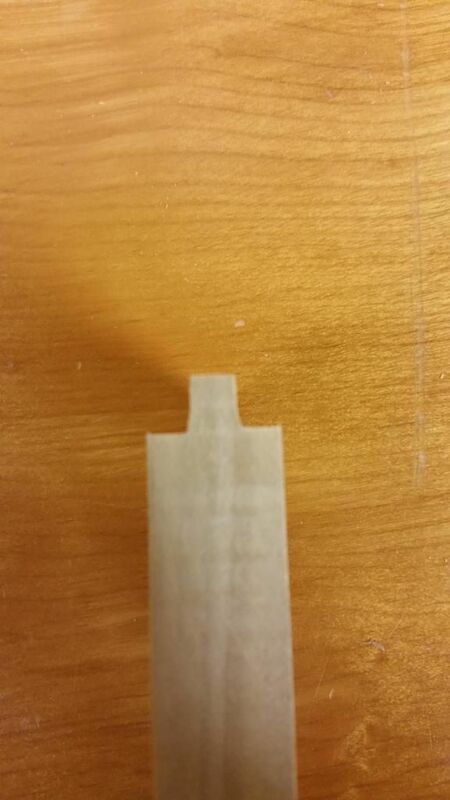 I tried my hand at stub tenon joints tonight and ran into an issue. I think may need to buy a stacked dado set. It does not look like a very square cut. Yes, it could be the blade. You have options thouch. Easiest is to buy a good blade, such as Ridge Carbide, Forrest, Infinity. Another is to take the bulk of the material out with your blade and clean it up with a good combination blade. That is the result you get with a wobble dado set. Yes even with two blades you get a rounded bottom. You either need "good dado set" or cut them as I mentioned earlier with a straight bit in the router table. Sand paper wrapped around a block of wood and elbow grease. And you are going to need to cut them equal in length on both sides or the joint will not close. Yeah, I'm still wobbling (pun intended) between dropping the bucks for a good dado blade or buying the less expensive T&G bit set from MLCS. I guess a dado blade would be the better investment i.e. more options for future use. There would be countless uses with a good dado set and having a good dado set would give you the confidence, knowing that you will get food grooves a dados, to perhaps tackle more complex projects. I'd do what Leon says (router table). ----------------------------------------------- You just proved what Leon told you. It's a wobble, not a true stacked dado like the SD-508. Yep, a wobbler dado does that. You do want a stacked dado, or a router setup to cope them. I've had the Excalibur for about twenty years, and have yet to find a use for it. As you found out, it cuts a dado with a curved bottom. The wider you adjust it, the worse the curve. Also, the width varies with the tightness of the arbor nut, so it is very difficult to set a precise width. It's been through two garage sales and a month on Craigslist, and the damned thing is still collecting dust in my shop. Easiest to clean on a router table but I would just cut them with a regular blade in the first place. True, there would be twice as many cuts but still less if one considers cleaning with a router. My question is, why are you cutting the tenon in that direction? ISTR that you are doing kitchen doors and were wanting T & G? If that is the case, you would want a tenon centered along the length of the end, shoulders on each face of the wood. You may have misinterpreted the picture I posted. I took the shot from above to show the shoulders left by the wobble dado. In another reply, you said you were going to reduce the width of the dado. Good idea. If you had it set to way beyond the 1/4" you need, reducing it to a hair over 1/4" will markedly reduce the curve. This may be misguided; wobble-dado blades are sharpened at the factory in a manner that will be a bad match for either extreme (wide or narrow) of the width setting. There IS likely a setting at which the wobble-blade cuts a flat bottom. For my (Sears Craftsman 720.3261) blade, the instruction sheet indicates that width is 3/4" (0.750 inches). It will be less pronounced but it will NOT be a flat bottom dado. The only time a wobble blade will cut a flat bottom is if the kerf is, let's say, 1/8" and you have it set for a 1/8" dado. In other words NO WOBBLE and the blade tip remains perfectly perpendicular to the workpiece. Just think about the path that wobbling blade takes for a minute or so and visualize it sweeping back and forth like a pendulum. Wobblies are handy for removing large amounts of wood quickly and for dadoes where it doesn't matter if the bottom is curved, as in door panel inserts or drawer bottoms. Regardless of how a wobble blade is sharpened at the factory or where ever, if it wobbles/cuts wider than the width of the teeth on the blade, it will not produce a flat bottom. The only setting that the wobble blade will create a flat bottom is when it is adjusted to not wobble at all. Actually, the wider the cut the more extreme the cup in the bottom of the cut. Sears/Craftaman power tools say a lot of things to sell their product. Remember the 6.5 hp shop vacs? Not true. The sharpening of a wobble blade is NOT RIGHT ANGLE at all the tooth faces. That analysis holds only for straight-blade sharpened blades used with wobble washers, not for wobble-dado assemblies. Standard blades are sharpened in the zero-wobble-angle state, of course. That depends on the manufacturer's wobble-setting when the blade was put into the tooth-grinder. For my blade, flat cuts occur at 3/4". Think of it this way: to cut a flat bottom dado with a 24T blade tilted at 10 degrees, the leftmost edge has to be cut by tooth #1 whose crest is 80 degrees to the left sawblade face, and 100 degrees to the right blade face. The rightmost edge has to be cut by tooth #13 whose crest is 100 degrees from the left face, 80 degrees to the right blade face. And the middle of the cut is made by tooth #6 which is 90/90 degrees, regular square-cut, but at a slightly smaller distance from the axis of the blade rotation. Dado blade teeth for wobble-dado assemblies are sharpened exactly as required to make a flat-bottom cut, but ONLY AT ONE SETTING. OK then........... I think you have read some hocus pocus info promoting wobble blades. But to be clear, I am not talking about a smooth bottom, I am talking about a bottom that is the same measurement in the middle of the cut as the outer edges of the cut. In order for a wobble blade to not cut a round bottom, when adjusted to wobble, the blade would have to elongate where the outer cutting teeth come in contact with the outside of the cut and shorten where they come in contact with the center of the cut. The wider the blade setting, the longer the part of the blade with the teeth cutting the outer sections of the dado will have to be. If the wobble blade was manufactured to be non adjustable it could be made to cut a flat bottom but it would not be perfectly round. The outer teeth would be farther from the center of the blade than the teeth in the center of the cut. Think of a ladder standing straight up in the air. It stands 10' up in the air. Now lean the ladder over 12", how high up in the air is it now. This is how a wobble blade works the farther away the teeth are from dead center the shallower they cut. Those teeth that are still located near the center of the blade will cut deeper. OK, I'll step back and retract the hocus pocus comment. ;~) I can see how a wobble blade can produce a flat bottom but only at one particular width setting. It does in one way as I indicated have properties that the cutting surface of the outer teeth are farther from the center of the blade as those that are closer to the center. But with that in mind, is a blade that only cuts one width well worth having? 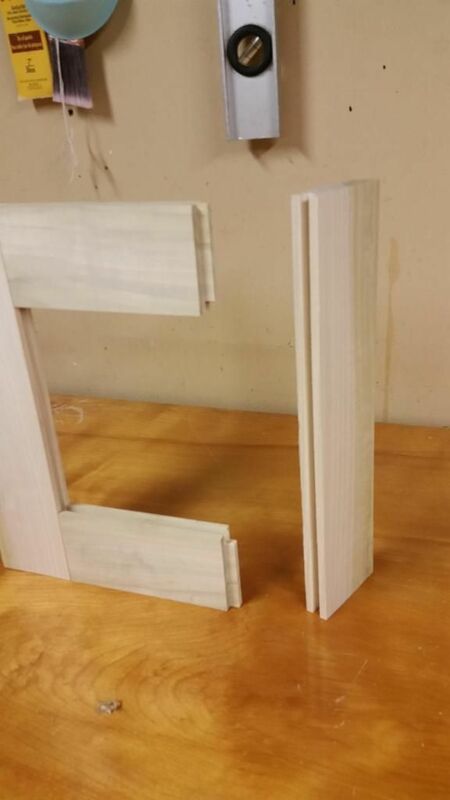 While a 3/4" setting seems like a common size to cut, in the real world it only works well for cutting dado's to receive 4/4 S4S lumber and possibly MDF but not for receiving the common 3/4" piece of plywood. Bottom line is: no one who has ever gone from a wobbler to stacked dado blades ever even thought of going back. Heck even when I had a wobbler, I switched to a regular rip blade on my table saw to cut cove molding because if left me with less sanding to do.